creative abstraction. Projects suitable for beginner to advanced students! To purchase your personalized copy, send the information requested below with a check for $36.00 to cover tax, shipping and handling. Make checks payable to Joye Moon. 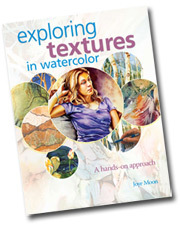 This beautiful watercolor book explores a huge variety of subject matter and painting styles. The featured artists share with you the discoveries they made while working on these paintings. I was thrilled to be one of the contributing artists with my painting “Joye in the Morning”. 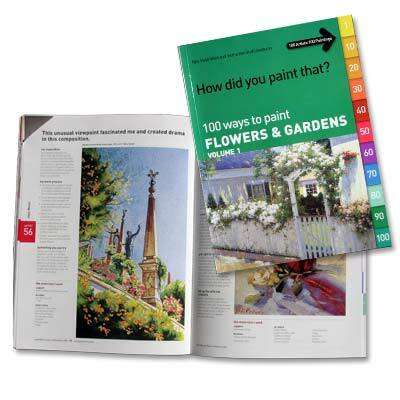 This book features 100 paintings exploring flowers and gardens. Each approach is different and the artists share with the readers technical information such as their colors and paper choices as well as what motivated them to complete the painting the way they did. 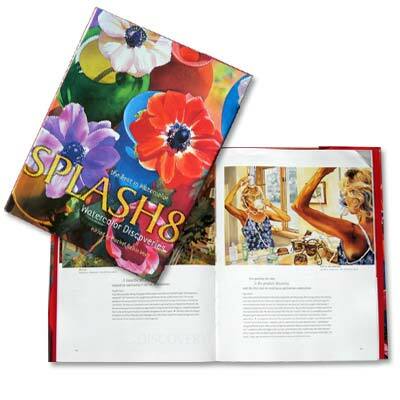 My painting, “ The Gargen of Isola Bella” is included in this publication. To order an item, please email Joye at joyemoon@northnet.net.